The iPhone 7 and 7 Plus was release on 7th September. 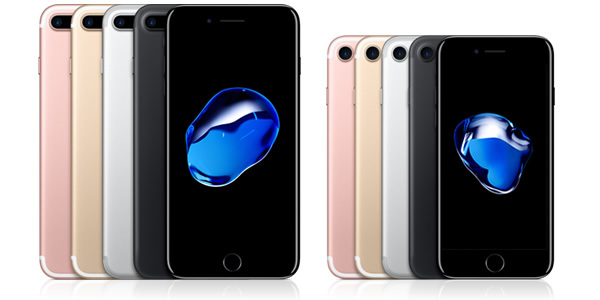 As the latest flagship mobile phone of Apple, iPhone 7 and 7 Plus sales figures are much higher than predicted and lots of regions and countries are out of stock for a long time, especially the 7 Plus 128G and 256G model, which has duo camera lenses and higher hardware specifications. In Australia, most of orders of iPhone 7 Plus 128G and 258G will take roughly 4 weeks to deliver. For repair business, no parts available at the very beginning, we have ordered and been waiting for 4 weeks, and after one month’s preparation and training, now we are glad that we get all the spare parts available in both shops in Glen Waverley and Waverley Gardens Shopping Centre. Top earpiece and bottom louder speaker replacement etc. Denim style flip wallet cover. OnTheGo Repairs will do our best to serve local communities for all their electronic products services, both hardware and software. Should you have any question, please visit our two workshops in two shopping centres or just give us a call and see what we can do from there. For Glen Waverley, Mount Waverley, Burwood East, Vermont South, Notting Hill, Wheelers Hill customers, please visit our Glen Shopping Centre shops on Level 1, Opposite to JB Hifi and Aussie Disposals. Or give us a call on 03 9886 8851 to make an appointment. For Mulgrave, Rowville, Clayton South, Springvale, Wheelers Hill and Noble Park North customers, please visit our Waverley Gardens Shopping Centre Kiosk (Opposite to Sussan and Miller’s). Or give us a call on 03 8555 2158 to make an appointment.